The Western Pacific Regional Committee of WHO is meeting from 13 - 17 October, 2014 in Manila, Philippines. In consultation with health groups around the region PHM has prepared a detailed commentary on the main agenda items to be addressed during the meeting. Within the framework of the PHM's initiative on 'Democratizing Global Health Governace' focusing currently on watching the WHO, the PHM prepared a commentary on the agenda items of the the 135th session of the WHO's Executive Board (26 May 2014). Read the PHM comments and statements on the agenda items of the 135th EB. Within the framework of the PHM's initiative on 'Democratizing Global Health Governace' focusing currently on watching the WHO, the PHM prepared a commentary on the agenda items of the 67th World Health Assembly (19-24 May 2014). Read the PHM comments and statements on the agenda items of the 67th WHA. For the second time, PHM will be attending the annual PAHO Directing Council Meeting from 30 Sept to 4 October, 2013. See PHM comment on three key items. 3) Compiling daily reports and topic summaries of various agenda items. Each of these resources are available in the section below. 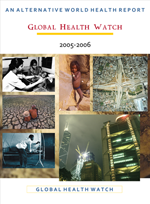 The Global Health Watch (GHW) coordinating group has identified broad areas to be covered in the 4th issue of the Watch, which is officially scheduled for release in October, 2014. We are now seeking your assistance in sourcing case studies that can add value to each of these important topics. The 134th meeting of WHO's Executive Board is scheduled for 20-25 Jan 2014 (see preliminary timetable). PHM and the rest of the WHO Watch network will be there. Follow the 133rd session of the WHO Executive Board here, including PHM commentary on key items and daily reports. The Africa IP Summit is a highly controversial event, scheduled to be held in Cape Town in April, co-organised by World Intellectual Property Organisation (WIPO), the US Department of Commerce and a number of large US corporations (Microsoft, Eli Lilly. Pfizer, etc). There are clear intentions to use this platform to promote for TRIPS-plus measures in intellectual property protection and enforcement in the African region. Needless to say that WIPO is also quite active on 'anti-counterfeit' initiatives; deliberately conflating questions of IPRs with questions about quality, safety and efficacy. The objectives of this 'summit' run counter to the spirit and the letter of the Development Agenda adopted by WIPO in 2007. 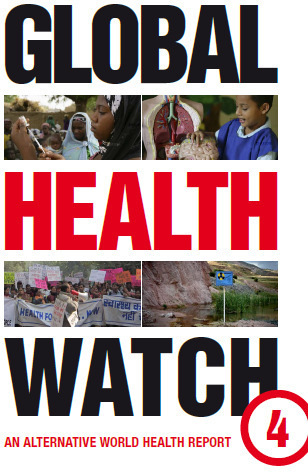 PHM has joined 99 NGOs and academics urging WIPO to reconsider. Please read, circulate, publicise and write directly to WIPO.